What’s the story behind the Maori cloak New Zealand PM Jacinda Ardern wore to Buckingham Palace? As far as heads of government go, Jacinda Ardern is somewhat unique. Not only is she young and female, but she also announced her pregnancy earlier this year. 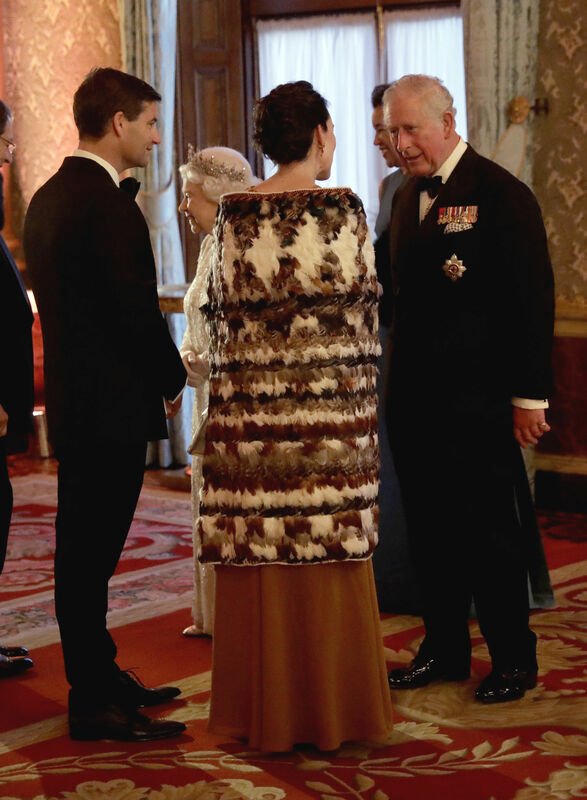 Now, the New Zealand prime minister has proved she’s not your average politician by wearing a traditional Māori cloak to the Commonwealth heads of government dinner at Buckingham Palace. Traditional Māori cloaks are broadly known as korowai, and the feathered version that Ardern is wearing is known as the kahu huruhuru. It is on loan from the Ngāti Rānana, a London-based Māori club, and is normally worn by chiefs and other powerful people. The pregnant PM attended the dinner wearing a long bronze dress beneath the cloak. Ardern has a relatively positive track record when it comes to the indigenous cultures of New Zealand. She supports the compulsory teaching of the Māori language in schools and was the first non-Māori MP to meet with Ngā Morehu – a group of former wards of state who were historically abused. Images of the pregnant, female prime minister in the traditional cloak have swiftly gone viral. Let's celebrate the fact our PM is making the best possible impression on behalf of NZ. Many of us are incredibly proud of her success as she interacts so positively with other leaders from around the world. Ardern is due to give birth in June, and will take six weeks maternity leave before getting back to work.